Visually route the day’s work for your team, and assign incoming jobs to the closest team member on the map. Produce a more productive daily schedule for your team when you review a map view of the day. 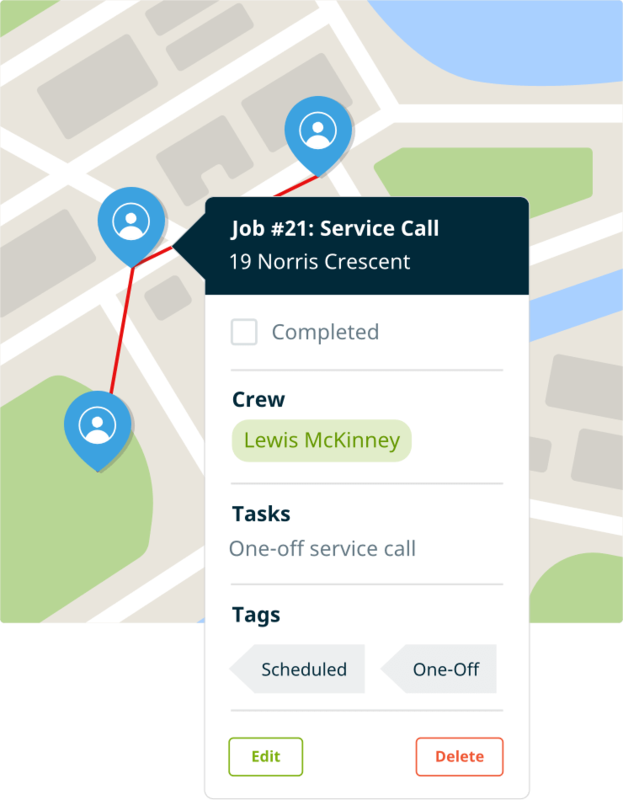 Assign tasks to nearby team members, reassign jobs to cut down on transit time, and reorder jobs to follow a more efficient route.